A large agricultural center of the Pavese Oltrepò area, located at the bottom of the Alta Val Tidone on the right bank of the river Morcione. Zavattarello (from the Latin "savattarellum", literally "place where the sandals are made"), is mentioned for the first time in a document, written in 972 in which Otto I, proclaimed the village under the rule of the monastery of Bobbio. After nearly two centuries it passed under the dominion of Piacenza, which had already been claiming the jurisdiction for a long while. The town was later ceded in fief to Ubertino de 'Landi, a noble of Piacenza, then to Landi Manfredo and finally, to the family Dal Verme. 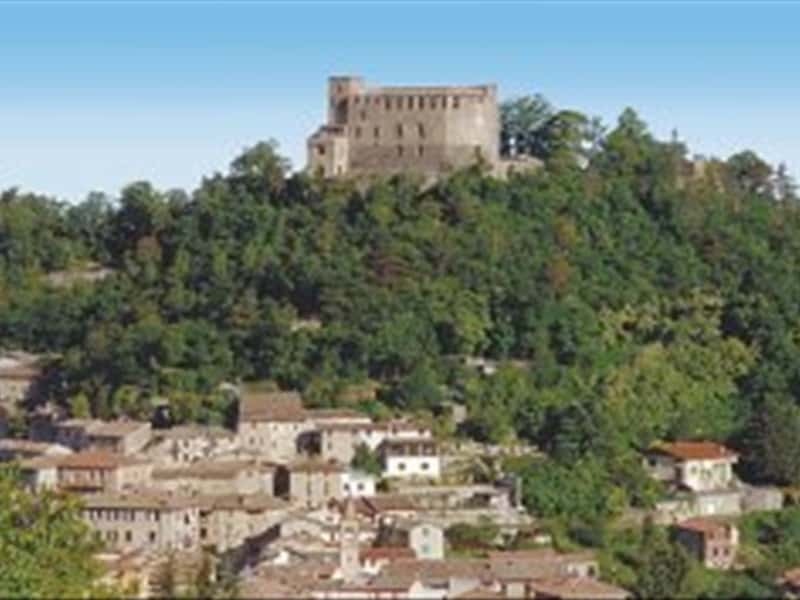 - the castle of the famous Captain Jacopo Dal Verme, a splendid example of a defensive fortress, with walls about 4 feet thick. It consists of a fortified structure with shelters, stables, stands, a chapel and 40 rooms. - the Church of St. Paul, built in the X century and remodeled several times in later centuries: the façade is in fact of the XVIII century, while the apse is an altarpiece of gilded wood, finely carved, enriched with a painting of the XV century depicting the "Madonna and Child with the Devil. - The octagonal cemetery, built by Carlo Alberto of Savoy in the XIX century, which houses the family chapel of the Dal Verme. This town web page has been visited 19,427 times.